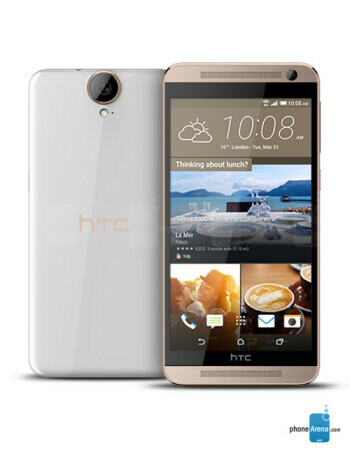 The HTC One E9+ features a large, 5.5-incher with Quad HD (1440 x 2560) pixels, good for the whopping 534 ppi. Underneath, we're looking at a 64-bit MediaTek MT6795 with eight 2.0GHz cores that can work simultaneously, and 3GB of RAM. MediaTek touted the chip's ability to shoot 4k video. Speaking of shooting, the HTC One E9+ will comes with a 20-megapixel rear camera with a LED flash and a 13MP/4 UltraPixel camera at the front. The rest of the specs include 32GB of internal storage, BoomSound stereo speakers, Android 5.0 Lollipop with Sense 7.0 on top.